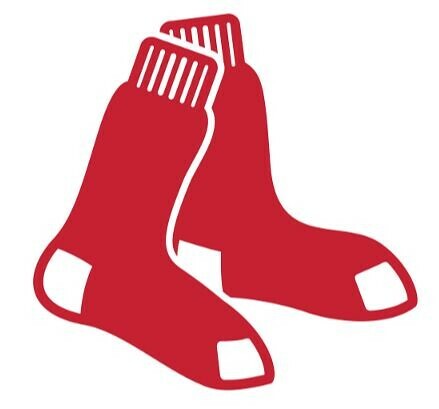 I'm supposed to be writing about the Jackie Robinson biography, which I finished weeks ago, but so far I haven't been motivated to do so. I finished another Wallander mystery -- my "in between" book -- but the next bio on my list, the new one about Frederick Douglass, hasn't come in yet. 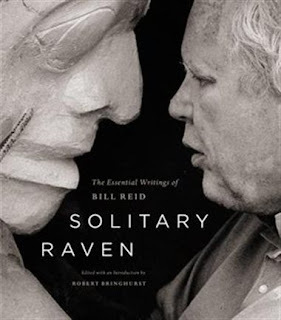 So I looked for something on my own bookshelf that I've been meaning to read, and found this: Solitary Raven: The Essential Writings of Bill Reid. It is fascinating, and by coincidence, feels very relevant. We visited Vancouver for the first time in 2016, and I spent a morning enraptured in the Bill Reid Gallery of Northwest Coast Art, still completely innocent of the idea of moving to the west coast. * I love Reid's work, and wanted a meaningful souvenir from the visit. Knowing that Reid was a writer and CBC host before his first major sculpture commission, I purchased this book. Reid's father was an American of European ancestry, and his mother was Haida -- a fact Reid first learned at age 19. He was 23 when he began exploring his Haida heritage. He studied art, sculpture, and goldsmithing at European art schools and museums, and later -- and for the rest of his life -- immersed himself in Haida culture. Reid's art synthesizes these two traditions into something unique, and for me, something incredibly powerful and beautiful. Solitary Raven was edited by Robert Bringhurst, a formidable talent of whom I had no knowledge. Bringhurst also wrote an introduction to the book. Here is an excerpt that I found particularly potent. Many readers may be equally surprised to see Reid, early in this book, speak of Indians as "them," Europeans as "us." Those, however, are the idioms he had learned -- and the person he learned them from was Sophie Gladstone Reid of the Qqaadasghu Qiighawaay, his Haida mother. For her it was the language of denial, but she taught it to her daughter and two sons as the language of acceptance. Two of them absorbed it without apparent question and went on to live unusually successful but otherwise quite normal urban lives in London and Toronto. Bill himself unlearned this language very slowly, suspicious to the last of eager joiners and wary of being one himself. Through art, and not through rhetoric or genetics, he became a Haida artist. But in 1985 -- as soon as the newly amended laws of Canada allowed -- he applied for legal status as an Indian. The petition was not granted until 1988, when he was 68 years old, but he had made his own decision. In February 1986, while addressing a provincial government commission, he asked the committee members a question: Why should the Haidas -- we Haidas -- want this particular morsel of wilderness left untouched? 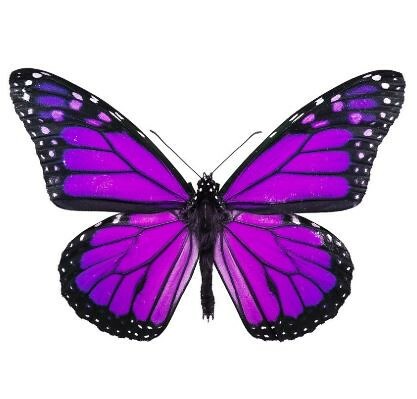 This book is many things, but one of the most important things it is, in my opinion, is the story of a long and conscious journey from one pronoun to another. become convinced that, permanently preserved, the poles would form a better memorial to the past greatness of the Haidas than crumbling to dust in the deserted villages. Through this, I'm gaining an appreciation for Haida art -- which, according to Reid, bears as much resemblance to most totem poles we see today as Picasso does to paint-by-numbers. I'm also learning a bit about Haida culture, whose great society was wiped out, partly by white men's guns, and mostly by the white man's disease, smallpox. Survivors were then subjected to the abuses and humiliations that is the legacy of colonization. Longtime readers of this blog know that I have an abiding interest in ancient and indigenous cultures. For a time I wrote about ancient civilization for a children's nonfiction series on history. I was constantly amazed at how much ancient peoples knew, and the complexity and beauty of their creations, all the more so when one considers how little they had to build on. This was true for every culture I studied, from all parts of the world. The original people of North America are no different, but because they left no monumental works of stone or granite -- and because they were exterminated by the people who wrote our early history -- their ingenuity is much less familiar to us. Discovering more about the Indigenous people of the Americas is always fascinating but painful. Here's an example of the kind of thing I love. Reid's writing is wonderful -- evocative, accessible, breezy, but with heft. We know they were a fine-looking people, with pride in their race and lineage, never permitting them to live simply on the bounties of their rich seas and forests. They were an ingenious people, using such unlikely materials as shredded cedarbark and spruce roots for basketry and clothing, and, with the most primitive of tools and an infinite knowledge of the materials, falling huge trees and creating almost entirely of wood a great material culture. It was the sea that shaped the first, and to the end, the most beautiful of these creations, the matchless grace of the Northwest Coast canoe. The cedars grew tall and straight in the rainforests of the north, but it took the experience of generations of skillful men to change their trunks into seagoing boats, sometimes seventy feet long. The log was shaped and hollowed, and then, in the supreme example of primitive genius, the whole thing was steamed by partly filling it with water and adding hot rocks until the water boiled, so it could be spread to the proper beam. This gave the beautiful flaring curve to the sides, and the rough seas dictated the high bow and stern. And so as always, perfect function produced perfect beauty. But it was when the practical skills and sure sense of design, born of necessity, were applied to the lavish heraldry of ceremonial life that the full splendor of Haida art was born. And though the white man brought disruption and eventual destruction to these people, he also brought a flood of new wealth and new tools to augment the stone hammers and adzes and the few iron knives they had had before. And so for a little while, during the first two-thirds of the last century, creativity on the west coast flourished as it never had before and perhaps never will again. In every village on the Charlottes [the Queen Charlotte Islands, or Haida Gwaii], totem poles grew in a rich profusion: forests of strange birds, beasts and heroic figures almost obscuring even the massive lodges they decorated. This is a lovely book, full of beautiful photographs of Reid's work. I wish I could see and walk among the culture he writes about. * Postscript: I am aware that Bill Reid had and has many detractors. I've read a bit of the criticisms, and find them irrelevant to my enjoyment and understanding of art. I respectfully request that you do not explain them to me here. Thank you for your cooperation. Canadians, contact the Senate. Urge them to work together to pass Private Member's Bill C-262, "An Act to ensure that the laws of Canada are in harmony with the United Nations Declaration on the Rights of Indigenous Peoples". My own letter included at the end of this post, in the hope that it will help you write your own. Is Canada serious about reconciliation? 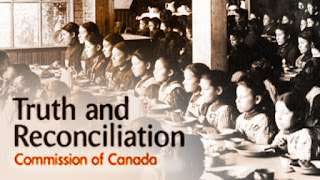 The Truth and Reconciliation Commission concluded in 2015. The Calls to Action have been made. Recommendations have been made. How will Canada proceed? Territorial acknowledgements, long a feature of labour and other progressive activism, have entered the mainstream. 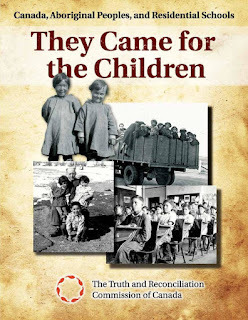 More Canadian children will learn about the system of forced family separation, indoctrination, and horrific abuse euphemistically called "the residential schools". Good, and good. But what of Canadian law? What of business practices? Will it be business as usual, or will anything change? The TRC offered 94 Calls to Action. How many will be implemented? Almost ten years passed before Canada finally became a signatory to UNDRIP. But its principles have not been put into action in any meaningful way. In its 2015 election platform, Justin Trudeau's Liberal Party pledged to change that. Not that we had any reason to believe them. First the Liberal government announced that Canada would drop its opposition to UNDRIP, and commit to "fully adopting this and working to implement it within the laws of Canada." Shortly after that, Minister of Justice [sic] Jody Wilson-Raybould described the adoption of UNDRIP as "unworkable" and "a political distraction". It wasn't long before Trudeau confirmed that, despite the tears, all was status quo: Indigenous people "don’t have a veto" about pipeline development and other extraction and energy projects. One of the key principles of UNDRIP is the need for governments to obtain "free, prior and informed consent" from Indigenous peoples prior to these projects. Is that going to happen in Canada? This is a country that -- despite undergoing the Truth and Reconciliation process -- refused to accept the word genocide to describe its historic relationship with its Indigenous peoples. Instead, Canada used an invented phrase with no real definition: cultural genocide. I'm not so attached to my country to contort myself into defending our history of genocide — and I'd like to ask those who are: how would admitting that our country was guilty of this crime against humanity change your relation to this nation, to yourself, and to Indigenous people? 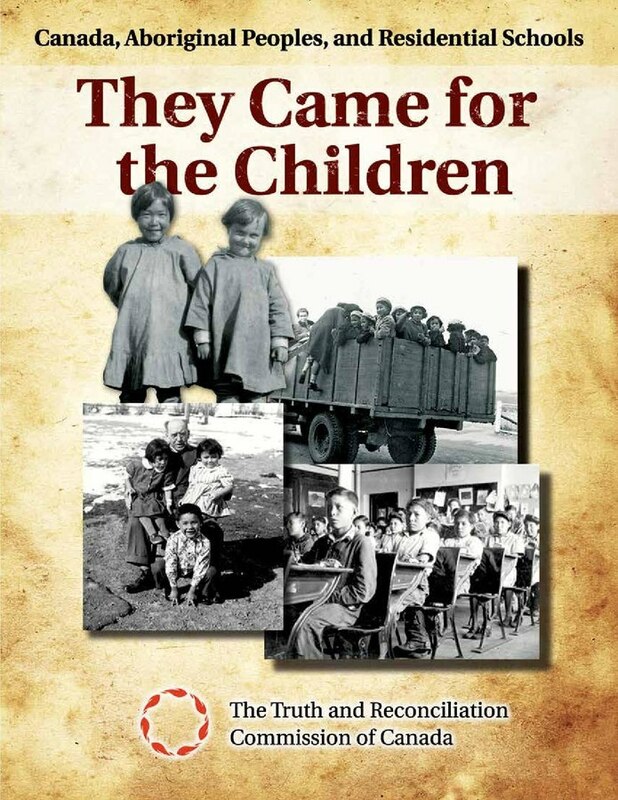 As of the closing of the TRC, the facts of the Canadian genocide of Indigenous peoples are now a part of the official record of this country's history, both for those who wish to face it, and those who wish to pretend it isn't there. These facts stand and will not change, because they are in the past. In the present day, it is only Canadians who can change — and will have to change — in order to acknowledge the disgraceful but fixed facts of our history. Bill C-262 is about moving ahead with implementation of the UN Declaration on the Rights of Indigenous Peoples in a principled and coordinated way. It does not attempt to turn the UN Declaration into a piece of federal law. Instead, it would create a requirement for the federal government to work with Indigenous peoples to develop a national strategy for implementation. This would include review and reform of existing laws. Critically, the Bill would require regular reporting to Parliament on the progress that has been made. I confess I feel quite cynical about the prospect for meaningful change, knowing as I do the history of capitalism and of empire. The all-consuming profit motive will not be derailed, or even detoured, by ethical and moral concerns. But I won't let that stop me from trying. If you look at the status of Bill C-262, it's not difficult to see what's going on. The Senate is engaged in a series of partisan stalling tactics as the clock runs down on the current government. If the bill is not adopted by the time a new election is called in October 2019, a historic and critical opportunity will be lost. Canadians, contact the Senate. Tell them to stop stalling and pass Bill C-262. Amnesty International Canada has the names and addresses here. Write a few sentences or a few paragraphs. Hit send, or print and send it off, no postage required. It is literally the least we can do. I strongly support Bill C-262 as an important tool to further reconciliation with Canada’s First Nations, and I urge all Senators to work together to make this important bill a law. Bill C-262 outlines a framework for the Canadian government to fulfill its promise to fully implement the UN Declaration on the Rights of Indigenous Peoples (UNDRIP), as called for by the Truth and Reconciliation Commission. Words are easy, but concrete actions require a clear plan to move forward. In order for there to be meaningful and ongoing reconciliation, Canadian laws need to reflect a commitment to the UNDRIP. Without this, reconciliation will never be more than words on paper. Canada can never right the immense historic crimes against the original people of this land. But the Truth and Reconciliation Commission has given us hope for the future – if we begin to make their Calls to Action a reality. There cannot be meaningful movement towards that goal if Canadian laws are still built on a foundation of colonization and subjugation. Bill C-262 provides a framework to take the next, necessary steps. The House of Commons has passed Bill C-262. Now it’s your turn. I urge you to work with together to bring Bill C-262 to a vote in the current session of Parliament. I look forward to hearing from you about this important matter. Some years ago, after reading about overfishing and the horrendous state of our oceans, I vowed to stop eating tuna. Certain species of tuna are on the brink of extinction, thanks to soaring demand and modern fishing methods. Plus, the "eating fish is good for you" equation has changed because of the presence of mercury in many fish, especially tuna. 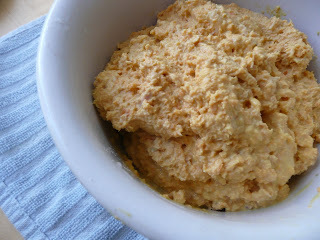 I decided to put tuna in the same category as veal and lobster -- animal products I no longer eat. Fish and shellfish are mainstays of my diet. We eat a lot of salmon (Pacific only) and shrimp, occasionally halibut, Pacific cod, squid, and other shellfish -- and I eat a lot of tuna. I joke that I'm going to turn into a thermometer. But I don't stop eating it. In fact I eat more tuna now than I ever did. 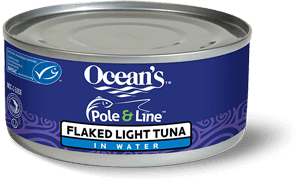 In an effort to ameliorate the ill effects on both my health and the environment, I've now changed from albacore (so-called "white") canned tuna to skipjack (strangely called "light") tuna. Albacore is much higher in mercury, and the fish are threatened; skipjack is lower in mercury and can be fished sustainably. Skipjack is also (supposedly) more ocean-friendly: if the label says "pole-and-line-caught," supposedly it actually is, whereas claims of "dolphin safe" albacore are likely false. Skipjack is also less expensive than albacore, although I don't find the price difference significant. But changing from white to light -- from albacore to skipjack -- meant more than just a change in buying habits. Albacore is mild enough to use in salads with just a bit of dressing, and it needs very little help to become delicious tuna salad. Skipjack has a stronger, "fishier" taste. Most people would agree it needs more preparation. I've been experimenting with this new tuna, and have landed on the Best Tuna Salad, more accurately called the Best Tuna Salad that I'm Willing to Make Myself. I normally don't use measurements for something like this, I just throw everything together, but that's not very useful as a recipe to pass along. So this week I carefully measured, tasted, and measured again, and this is what I came up with. The recipe is meant as a ratio, to be multiplied depending on how many cans you're making. I usually make three or four cans at a time. Be sure to use tuna packed in water, not oil. This tuna salad is great on whole-grain toast with sliced tomato and cucumber, or my favourite, whole-grain crackers like Triscuits or Wheat Thins. We've had so many gloriously cold and sunny days! I don't know if that's unusual for January and February or if I was oversold on the rain, but I love it. The temperature will range from around -3C to +4C (mid-20s to about 40 F), which barely qualifies as cold, and combined with bright sunshine, is some of my favourite weather. Last weekend, we hiked in the Beaver Lake Recreation Trail -- the first time I've ever hiked in winter. There was a dusting of snow and it was cold enough to wear a parka. The trail is full of interpretative signs about the forest, pointing out old growth, second growth, "managed", and other stages. The information is sponsored by the lumber company, so you have to translate the propaganda a bit, but it was still interesting to think about the woods this way. Plus because it was cold and dry, there were no (visible) mushrooms. After the hike we drove to Port Alice, where one of my libraries is located. I had visited the library the previous week and I couldn't wait for Allan to see the location. The town is located on an inland lake (actually an inlet) surrounded by mountains, and it is breathtaking. I've never been to Scandinavia, but we saw fjords in Gros Morne Park in Newfoundland, and Port Alice has the same feel. Our photos don't do it justice. The town of Port Alice was recently a bustling lumber mill town, but since the mill closed in 2015, it has really struggled. Along with the Legion Hall, our library is a lifeline for the residents. The teens bus to high school in Port McNeill, but the 45 students in grades K through 8 will soon have a lot more library time. Another wonderful product of the cold, clear weather has been the night skies. We'll pop outside on our deck or driveway, and the stars are so bright, and so many are visible! It's spectacular. Light pours out of the moon -- and I realize I've seen the moon, but never seen moonlight. Allan and I often remember an experience we had in Mexico, seeing the night sky from a road deep in the rainforest, the sky positively alive with light and motion. But I've never seen anything like that close to home (at least not as an adult). One of these nights Allan wants to drive down Rt. 19 a bit and pull off at a rest area, where even the few streetlights in our neighbourhood won't be visible. We thought this graphic was amusing. This is off the long, twisty road to Port Alice. Note the bare spot from "harvesting". The area is dotted with those.